Master Thoth teaches on the Law of Correspondence on Saturday, April 30th, 2016 as we travel to the Sacred Heart Temple of Oneness within 144th dimension in the Commemorative Hall to receive an attunement to assist the Mirror of the Self to be clearer: Getting Physical: Holding to the Universal Law of Correspondence. Listening to the Divine Wisdom of your Higher Mind through the Higher Self into your present consciousness is the only communication that should be acknowledged within your world. It is the space of continued energies from the Source of Light that you were born from as a Spirit of Divine Essence. It is a way of living that relates to all references of the God Essence within Love and Faith by allowing Humility to be your guide as your Inner Power will be acknowledged in the presence of the Light that you truly exist within. This universal law brings up these elements to be acknowledged within your physical consciousness through each thought, feeling, and action that you create within your life. It is the essence of allowing your higher creative process to be part of your physical existence. It is then that your life enfolds in a new and different manner. This is what we call “Synchronous Living”. As you learn to “walk your talk” in that what you belief inside of yourself, through your inner power and truth, it ignites into your outside world with a sense of ease and grace with every element that you experience. The important realization is that the journey of the Self will allow you to fully embody your soul and your spirit through the physical reality you have created. It has taken you many hundreds of lifetimes to realize these truths. You have been side-tracked from the core of your True Self into believing that the truth you believe in lies outside of yourself. It has been part of the programming that has evolved within this planet for eons of time. Luckily, the earth is at a very pivotal point in which individuals can start to realize that the potential of their living is right within themselves. And, when you can take time to change the inner thoughts and feelings into positive affirmations that is when you are truly aligning with your Inner Truth. It is a moment in time in which you allow the true Spirit of You to become the Physical You. This allows the enfoldment of synchronicity to flow within and out of you in each element that you achieve in your life. 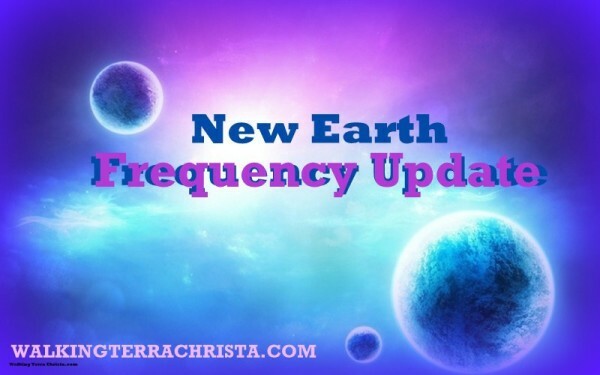 This is what is occurring presently within the Earth as the changes happen through each moment of alignment as there is more to experience than the previous moment. But how do you stay stable in the midst of the storm is the most important question. Finding your True Self is important to allow the stabilization of your Higher Essence to be acknowledged within you. Events can happen; relationships will change; and there can be loss on the physical level. The important element to remember is WHO YOU ARE. This determines the cause of events for you in each moment whether it is within your own consciousness or outside of yourself with others. I am not talking about one fleeting moment when something occurs that gives you joy. I am talking about upon waking up each day and each of those moments fit into each other with a flow that is so beautiful it resembles sitting on a raft floating down a stream and you see everything in beauty as it reflects all around you. The raft continues its journey and you enjoy each moment as they flow into the next moment. There is no hesitation or thoughts that tell you it does not feel right within your heart. You are One with all that is around you. So many individuals want to choose to have this existence and sometimes they think that they do. Some souls live in a very illusionary state where the world around them seems exactly as they choose it to be but yet when they look inside of themselves there are feelings of regret, insecurity, or deep pain. They may not appear as such in the world around them as it seems better to hide than to truly exhibit the feelings that are not in harmony. This represents the statement that Your Mirror Image Is Not Of The True Self, it is of the damaged self. The part of you that has lived many timelines and experienced these elements represents the changes that need to be made. They may come in a fleeting moment out of nowhere but yet it feels very real to the psyche. This is because this experience reflects the past and is locked away within the person’s subconscious. The beauty of the subconscious mind is that it is teaching you to look at the issue so that it can be healed. Many individuals do not have the ability to look deeply within as the façade they carry with them reflects the pain they are dealing with. As we move through 2016, the Universal Laws are going to become essentially important to every person’s existence. Each soul will experience the growth that is necessary to embody the universal laws, and they will become an important element to consider. In fact, each universal law needs to become a mantra for each soul upon this earth so that every step they take in their physical life reflects the spiritual self that is trying to be realized. Each individual must live with the Universal Laws as if they already know what they are. But when you read the words of the law, what do you feel inside of your self. Do you have a reflection of what it may mean for you in your present circumstances or your life? Do you see why you have gone through a series of challenges and maybe if you paid closer attention to each moment you are experiencing, then you could see where the problem may lie within your mental and emotional experiences? These are all important elements to consider, as the Universal Laws must become personal for each person in order to achieve mastery and accept the challenges they are going through as part of their own Divine Plan through their Higher Self, and not the result of others creating the problems. The Law of Correspondence creates these thoughts to become a reality within a person. The statement of As Above, So Below is something that has been written in many spiritual texts for centuries. But what does that mean for you? How can you change your reality by realizing that you are more of a Spiritual Being than a physical one? The reason this planet and all of humanity is struggling represents these questions that I pose to you. Each person needs to take responsibility for his or her own reality through the emotional and mental bodies so that the world can be Heaven on Earth. Until each soul takes that step into their own personal evolution the earth is going to still be in conflict. So that is why we take the time as Masters to work with each of you so that you can remember all that you know and how to apply it to your present life circumstance. It is not your fault that you have forgotten but it is time for every soul to try to remember. So the burden falls upon each Lightworker, as the Awakened Ones, to hold their own higher essence within their physical body. In order for each of you to walk as masters you must walk in the shoes of all that you have been before. This is an important fact that needs to be addressed. Your Etheric body holds the frequency of the good and bad that you have been. In order for your physical self to hold the Light frequency, the healing must occur within the Etheric level. All timelines and thought processes that you have is being held in this level. So it is imperative to clear as much as you can as it will make a difference in creating the New Earth. Each of you mirror everything that you have ever been within your own sub-conscious thoughts which trigger the emotions. It is imperative to take the time and understand that when the thought comes to you, how you feel about it in your personal reaction. What happens to you in this process? Are you relating to your Higher Self or is it your physical self? This is an important consideration because when you access your Divine Mind, the higher part of your existence, then you allow that Mirror of your I Am Presence to be revealed within your physical body. When you are accessing the lower self through the physical mind, then you are putting that energy back into the Universe. So it will come back to you time and time again until your rectify the energy through accessing your Higher Heart and Higher Mind. This is the Law of Correspondence – as the line of communication from the lower mind will travel through the dimensions unto your I Am presence of the 144th dimension. The I Am or the Monad or the Higher Self receives it. There becomes a realization that this transference of energy does not reflect the Higher Essence. So then this energy sends another communication to you of similar energies – the lower energies do not stay within the Higher Essence but are returned to you to revisit the same frequency. This is why you can be overwhelmed with an emotion or situation you are dealing with. Instead of calling upon your Higher Essence to assist in a resolution, your lower energies are being sent out and returned back to you. This is a constant motion that occurs in each situation of your life. So when you realize that change has to occur from your Higher Essence into the physical essence that is when you start to feel calm, peaceful, and loved. You finally allow your vehicle on this Earth to receive what it deserves. Then there is the movement of healing that is created. It becomes an endless cycle until the initiate can take responsibility for themselves and realize that the reality they are experiencing is due to their ability to move through the challenge. This is why this earth is so programmed as it was deemed appropriate eons ago that there would not be any remembrance for each soul until he or she could step into the power of their own will to be acknowledged within themselves. So at this time of great change, it is your responsibility, as the Awakened Ones, the Initiate, the Student to step forward and allow the healing of our Inner Self to become the Outer Self. Each soul upon this planet must take this responsibility. If you think you are completely clear and do not need to address this law to your personal life, then look at your outward circumstances. The Inner Reflects the Outer Self ~ Synchronization Occurs through this act. This statement reflects each moment of your day, your night, and all realities coming into Oneness. The more souls that utilize this law the easier it will become upon this earth as the dark energies will no longer be able to exist in this higher frequency. Take time to realize your thoughts and actions, your conversations, and realizations as they mold who you are in any given moment. Every soul has to go through this process; it is part of learning to be a master. The journey can be challenging to constantly know who you are and allow the Mirror of Your Higher Essence to guide you in each moment. The rewards will come to those that are able to uphold this creative process within all parts of their reality through the Physical, Etheric, Emotional, and Mental bodies. This will then change the frequency of this Earth to move into the higher dimensional light. The challenge is being honest with yourself and realize the potential you have to create change inside and around you. I walk with you every step of the way through this process. Join us for our monthly talk with Master Thoth on the Law of Correspondence, Saturday, April 30th, 2016 at 12:30 PM Pacific as we travel to the Sacred Heart Temple of Oneness within 144th dimension in the Commemorative Hall which is a meeting place for many masters of the Unified Whole Command. Included is an attunement to reflect the Mirror Image of our Divine Self into our Physical Being. Details are available viaGetting Physical: Holding to the Universal Law of Correspondence.